I made friends with a snake! It was moving in the grass and Ian brought it straight over to me. The snake belonged to him. The snake was happy to meet me, too. It curled all around my chair and didn't want to let go. I was so happy! I loved it! I tried really hard to touch it and I did great looking. We were at the Shellharbour Relay for Life, supporting Team Michaela's Navy. You can support them here. This morning, for the first morning in like... forever, Mum stayed in bed a few minutes after the alarm. And, it all went wrong from there. We weren't running late. Not really. But, a little bit. She is so well organised that everything was already ready. But, everything was just a bit out of kilter. First, we took the Noisy Sister to her preschool. Locals, you will know the railway underpass that only fits one car. Most people are polite and respectful and follow the rules. This morning, we met a driver who liked to play games. We were there first and had started to drive through the underpass. There were no cars. And then, there was a car, and the driver started to push through. So Mum started to drive. And, this happened three times. So, Mum flashed her lights, to let them come through. And he flashed his lights. Because of that driver, she was shaken up. You know how people can do that to you sometimes. And then, when she drove me to school, she had to drive 'around the block' a bit, because a car was partially blocking the driveway to the disabled parking spot. She gets a bit worried sometimes, at school pickup and drop off times, because our car is big. It's big for my wheelchair. Our car doesn't have reversing cameras and she is worried around the kids. When Mum got back in front of the school, she pulled in to park in the disabled parking spot. It's perfect for me. She has room to get the wheelchair out and put me in it, and it is safe. Then, a man ran up to her. She was feeling flustered and thought he might be angry at her. But, he was apologising to her. Mum was almost teary and she didn't really speak to the man. He apologised for parking over part of the driveway, so she couldn't drive in to the disabled parking spot. Mum said it was ok.
Then, she realised how genuine and nice the man was being, and she looked him right in the eye and thanked him. Sometimes, empathy and support will make you so grateful you can cry. Thanks for running up to talk to Mum, even if she didn't really talk back. And then, with everything, Mum had her first 'disability' sad school morning. She was thinking about the other kids, and how they run off and hang their bags on the classroom hooks. She was thinking about the way they hold their friend's hands and skip off together, to play. She has to hang my bag up. ​She has to tell the teachers anything about me. She can't watch me run up to my friends, smile and start playing. She is so impressed with my school, my classmates and my teachers. Sometimes, when I'm still sleeping, my sisters sneak into the bathroom and open the door to my room. After that, they go to Mum and tell her I'm awake. They do this so they can climb into my bed and have cuddles and play with me. They climb all over me and squash my legs. ​But, I love these mornings! We won a pair of Medica 'Chicago' sandals from Carmella's House! We were very excited. The sandals are valued at $165.00. They have extra support around the foot, to help me when I am standing and using my walker. They are nice and cool and very comfortable. We will get the extra height added to my short-side shoe, to even my leg height. Usually, when I have been wearing my boots at the shops I want to take them off as soon as I get back to the car. The other day, I didn't want to take off my sandals until I got home. After being in school shoes all week, it is nice to have some cool sandals to wear on the weekends! The sandals are light and easy to wear. They have extra stability and support and are made with leather. The sandals are easy to put on, too! We won the Carmella House Medica 'Chicago' sandals from a competition being run on the Source Kids Magazine instagram page. Find Source Kids Magazine's website and facebook page and instagram page. Find Carmella's House's website and facebook page. Source Kids Magazine - Australia's first magazine for parents, carers and professionals creating positive outcomes for children with special needs. Carmella's House - Aims to develop and supply products for children with special & additional needs.100% of sales goes to establishment of Carmella's House. When I don't want to be somewhere, I can move pretty fast! I'm five now, so I don't like lots of hugs. When they hug me, I'm pretty good at rolling and moving so they know to put me back on the ground. I was fast at rolling away from Mum, this afternoon! I didn't even care that the video was on! I just wanted to get down and play. I got a bit of a surprise when my feet hit the ground. I was almost standing. ​I'm not strong enough to hold myself up, yet, but I am always working at it. I ended up on my knees and Mum helped me with the rest. It is the end of my full second week of school, and I'm tired! 'Dexter was amazing today with using his switch and shaking his head yes or no. He has been very clear and direct'! And, today I got to eat a jelly cup that one of the boys brought in for everyone. I did a good job at swimming this afternoon, too. 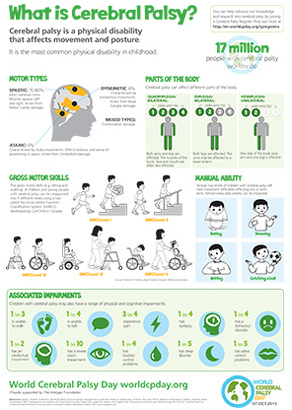 There are so many variations of cerebral palsy. Dexter's cerebral palsy is spastic quadriplegia and dystonic quadriplegia. 'Quadriplegia' means all his limbs are affected and 'Spastic' means his muscles can become very stiff and tight. The 'dystonia' means he has uncontrolled movements of his arms, head and legs. Dexter's cerebral palsy is severe. He has been classified as level 4-5. Level 5 is the most severe. Unfortunately, that means some people put Dexter in the 'most severe' category and never see him as a walker, crawler, talker or eater. Essentially, they give up on him. But, Dexter wanted to feed... and so, he did! Dexter loves his food. He can be stubborn about who feeds him, but he loves food. He needs his food to be soft and mashed, but is getting better and better at eating. Unfortunately, he grinds his teeth. He doesn't have much in the way of molars, because of the grinding, so eating harder foods is difficult. Drinking still poses some problems and we are very careful to monitor the amount of liquids Dexter drinks. During chemotherapy treatments, Dexter's chewing and eating development suffered a huge set back. The chemotherapy drugs caused mouth and throat ulcers, and Dexter went back to eating pureed food. Many children undergoing chemotherapy end up on a gastronomy tube, but Dexter didn't. Some people doubted Dexter would ever be able to roll over. So, we taught him how to roll over. We push Dexter and help him be his best. We work every day on his physical development. And, his physiotherapist, Zoe, pushes Dexter. She adjusts her expectations each time Dexter achieves his little steps in the long road to walking and sitting. And, Dexter pushes himself. That little boy pants with exertion, he pushes himself that hard. Dexter's hip surgeries caused significant set back in his development. The specialists advised it might take six months for Dexter to return to where he was pre-surgery, after his muscle release procedure. Six months! And then, after the femoral osteotomy, Dexter would be set back at least 18 months. Together, that was a two year set back! Dexter was four. That was half his life. That's a huge setback. It felt like so much wasted therapies. So much needless heartache. Dexter had to learn how to roll over, all over again. He had to learn to hold his weight, again. He needed to learn to take steps and to push forward with each step. He needed to rebuild his muscles and core strength. He had to learnt to hold his head high, again. He needed to learn to bear his weight and sit, again. He needed to start all over again. It's just heartbreaking that he has to try so much. ​a hope, but is now a reality'. We see this in Dexter.... And so, we continue to push and encourage and support and hope. Dexter may have been classified as level 4-5 spastic quadriplegia and dystonic quadriplegia, but no one told Dexter! but he is a tough little guy and we'll never give up on him! At the moment, Dexter is non-verbal. He has communicated hunger a few times, and we've heard 'more', 'off',"Mum' and 'Dad'. When he's in pain, we do hear 'ow' - (ouch without the ch). That one's heartbreaking. We praise him for using his 'words' and hope he will find lots more words one day. We hope Dexter doesn't feel pain from the cerebral palsy. Some nights are bad cerebral palsy nights, but hopefully, he has been mostly lucky enough to avoid this. On the bad nights, Dexter cannot go to sleep and his muscles tighten until they are solid cords inside his little limbs. We have heard of children with cerebral palsy screaming in pain while driving. Dexter is lucky and travels well, apart from motion sickness. 1:2 has an intellectual impairment' - This is a little difficult to assess yet. Dexter's vision impairment and lack of words makes it tricky to tell..., but Dexter shows understanding. He has a fun sense of humour. He is cheeky. He learns instructions quickly and already knows that a kiss on our cheek will most likely see him getting his way. He does have a vision impairment. Cortical Vision Impairment. More here. He does have trouble sleeping. He does have bad saliva days. Some medications seem to make this worse, and his Bowen Therapy Massages helped to reduce his drool. While he is still in a spitting for fun stage, its hard to determine just how much control Dexter has over his saliva. I had a bad night last night. It was one of what we call a CP night. On these nights, my cerebral palsy doesn't let me relax enough to fall asleep. My muscles tighten up and feel like metal rods in my limbs. They hurt! When this happens, I cannot get comfortable and I cry. Mum and Dad try to massage my muscles and rub my arms and legs, but it doesn't really help. These nights are hard. They usually come in cycles. I'll be doing really well and then, every five weeks or so, I will have a bad week. Last night was my first CP night for a little while. It was my first bad CP night when I had to go to big school the next morning. My Noisy Sister came into bed with Mum, Dad and me. She fell asleep with her arm around me, making sure I was ok. I was very tired at school today because I didn't sleep much last night. But, I still had smiles for everyone when I got picked up! I'm now in my second full week of school and I'm a little bit tired! There's so much to learn and so much to focus on! But, I'm still having a great time and trying hard to learn! We are still keeping up with my therapy at home, but it is hard to fit it all in. We know how important it all is. I try to use the walker some afternoons. We are not doing much with occupational therapy, at home, but I am doing things at school to help me with that. I'm not doing speech therapy, but I am working on eating more at school. That has been a big step. with so many new things and new people to experience, I didn't want to focus on my eating and drinking. Now that I am more familiar with everything, I am starting to eat and drink more. I'm also having a lot of opportunities to work on my head nodding and shaking. Tonight, I'm using my standing frame time to also practice my looking. My vision impairment is called cortical vision impairment. It means the message between my eyes and my brain can get jumbled up and I can have trouble seeing. The more I work on it, the more I can train my eyes to see, and train my brain to recognise what I am seeing. This cerebral palsy thing keeps me busy! Thanks for checking in on me! I still love school! I've had a full week of school, now. Mum and Dad thought I would be tired. But, no. I've been full of energy. I'm staying awake until about 10pm, which is pretty good for me. Sometimes, my cerebral palsy stops me from sleeping. I have melatonin medicine, to help me feel sleepy, but it doesn't always work. I've met so many new people, since starting school. Mum and Dad are so happy with how enthusiastic I have been about using my communication switch. They have loved how happy I have been. They have felt such pride and heartfelt thanks at the way the kids at my school have welcomed me. No one would want to be my friend. At the moment, I have lots of people wanting to talk to me. Thank you. We're sure some of the children will have gone home and talked about me. We understand that some of the adults might not have the answers to some of the questions the kids are asking. Grown ups, if you are stuck for answers, you can say that my brain got hurt when I was really tiny. You can say the messages my brain sends to my muscles sometimes get lost and confused, so I can't run and jump. Please tell the kids that I am strong and determined. I work tirelessly in my physiotherapy sessions. I work so hard when I am in my walker, trying to sit, swimming and even when I am eating. Tell the kids I love boy stuff. I like funny noises. ​I like playing, even if it looks like I don't. Please tell the kids I can understand them, even if I don't always answer back. They can talk to me. I like funny voices! Can you tell the kids I am having so much fun at school and that I love it when they say hello? Mum and Dad are much shyer than me. But, they like smiles, too. This video is a grown up version. It explains some of my medical history. There are more videos on my you tube channel.